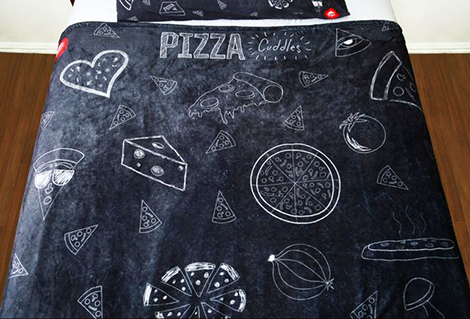 It includes raunchy T-shirts, hats, and even 'za-themed bedding. Pizza Hut’s newest menu item? 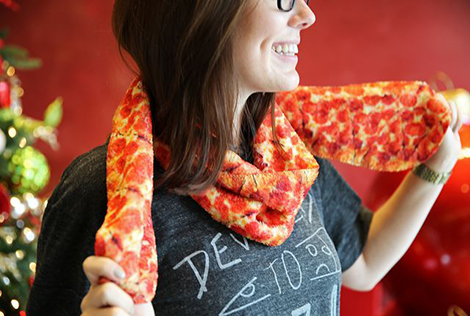 A line of “hip” pizza-themed clothing. According to A.V. Club, the chain has teamed up with L.A.-based fashion brand Bella + Canvas to launch a line of clothing that is supposed to appeal to millennials. There’s five-panel hats with pepperoni pizza bills and very questionable sayings like “take your toppings off,” a Tumblr friendly “Pizza Is Bae” hoodie, pizza yoga pants, bedding, and even socks. None of the items are that revolutionary and people have been selling pizza-themed clothing for years. 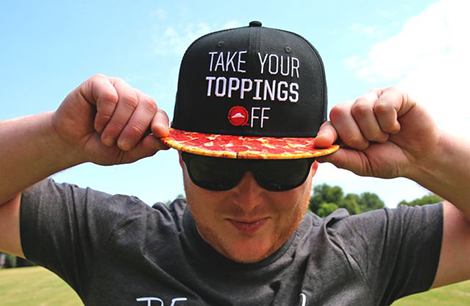 Not only is Pizza Hut late to the game, they showed up with unimaginative merchandise, which just makes it worse. 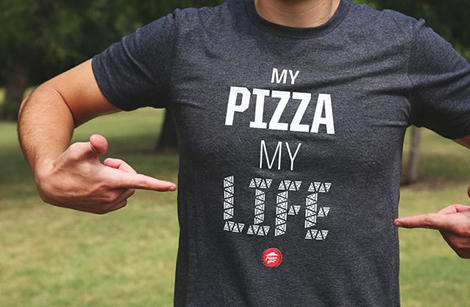 Admittedly, the apparel line is pretty wallet friendly, so if you really, really, really did actually want a “My Pizza, My Life” shirt to show people you know how to stick it to the man, it would only set you back $16.99. 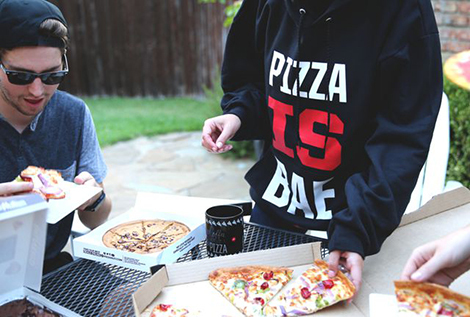 Pizza Hut is the second major food chain to launch an apparel collection. Earlier this year, McDonald’s released a series of lifestyle wear in Sweden. Unlike Pizza Hut’s, most of the line is incredibly fierce. Inspired by the Big Mac, the collection features burger-printed rain coats, Wellington boots, a dog coat, bedding, thermal underwear, and even wall paper to deck your halls with.